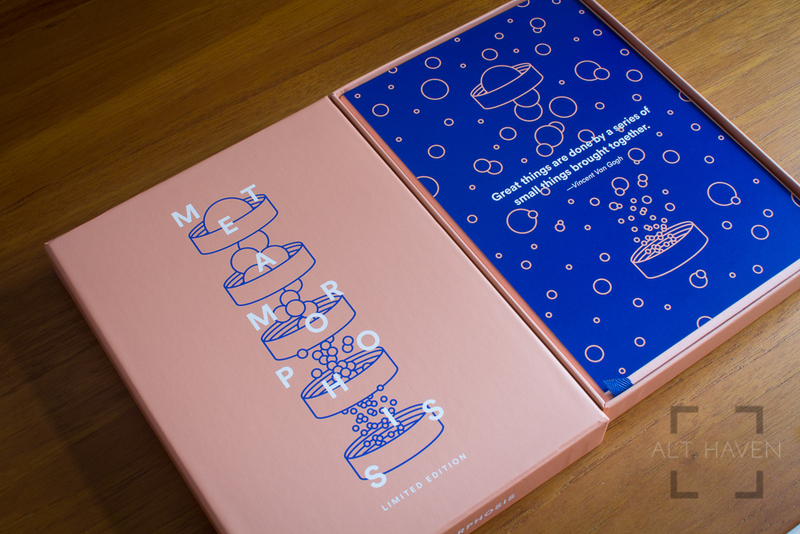 My thanks to Baron Fig for sending me the Confidant Flagship Metamorphosis for review. 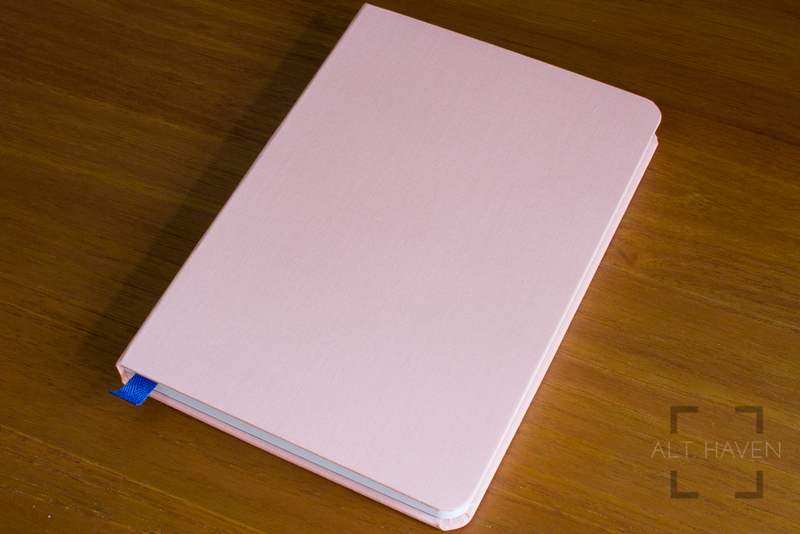 I’ve reviewed the Baron Fig Confidant in the Pocket size a few weeks ago. I had basically praised their paper quality but found issues with their choice of having a fabric exterior. The main difference between the Pocket and the Flagship is the size. The Flagship is basically the A5 size, though slightly smaller. The Metamorphosis is one of Baron Fig’s limited edition Flagship model. 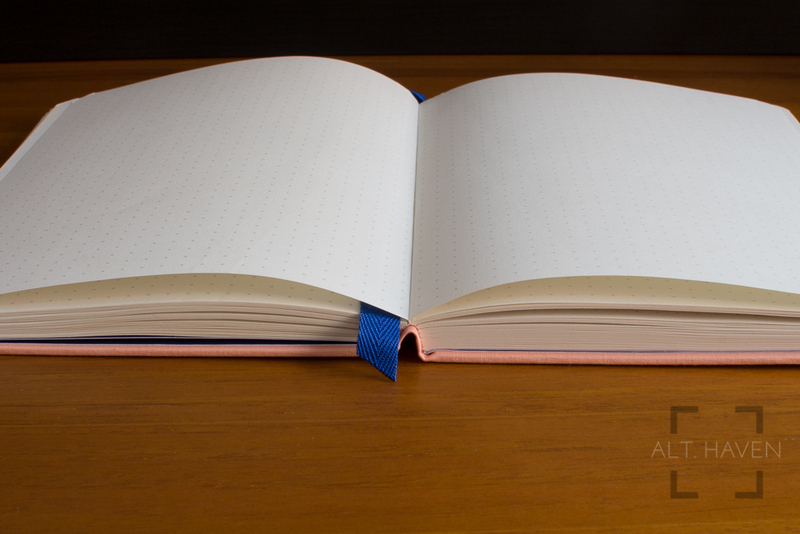 Thus, it has a radically different exterior and bookmark colour. The peach fabric exterior is a nice soft colour that’s not too girly. Personally I never enjoy the pastel pink sort of colour but that’s my personal preference. 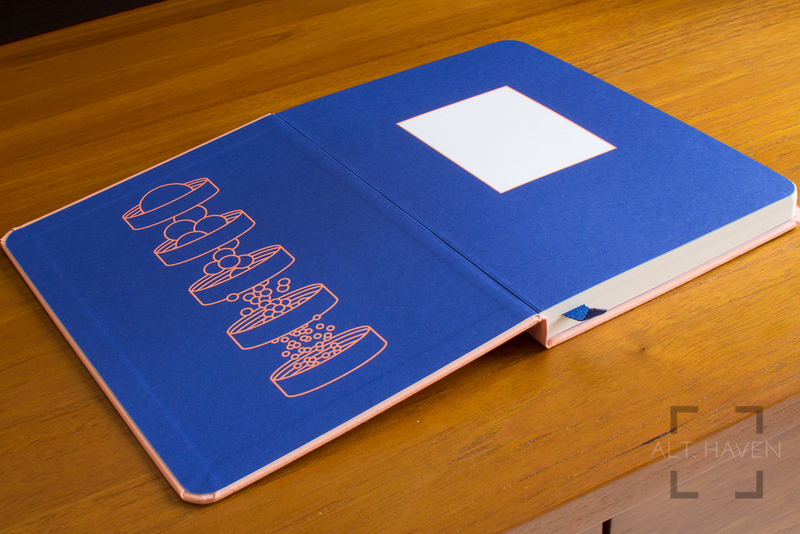 The bright blue bookmark stands out well against the peach exterior. It comes in a box with a similar colour scheme. The colour scheme continues on the inside with a custom graphic art. 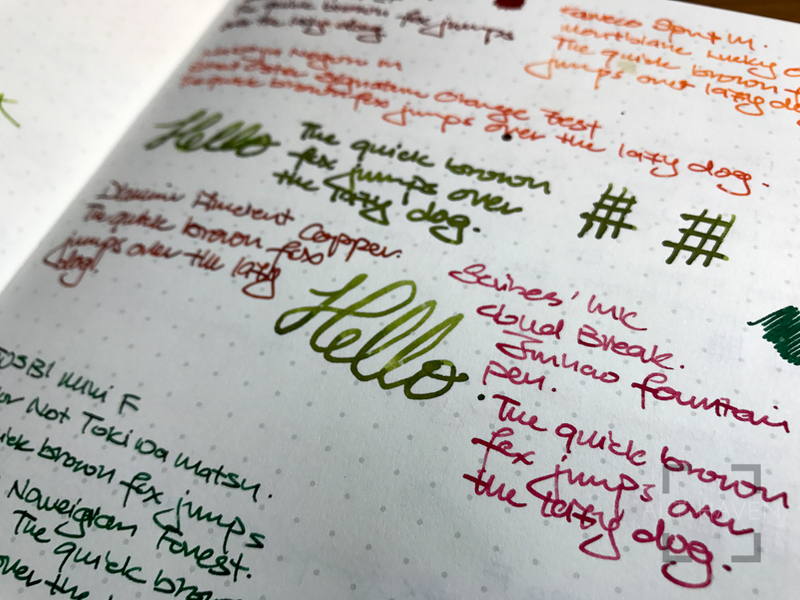 I love the colour combination Baron Fig had picked for this particular release. It’s different and it definitely stands out from the crowd. However, my complain about the fabric cover still stands. I took it out for one pen meet and it came home stained. The peach exterior makes stains stand out more than the regular grey ones. 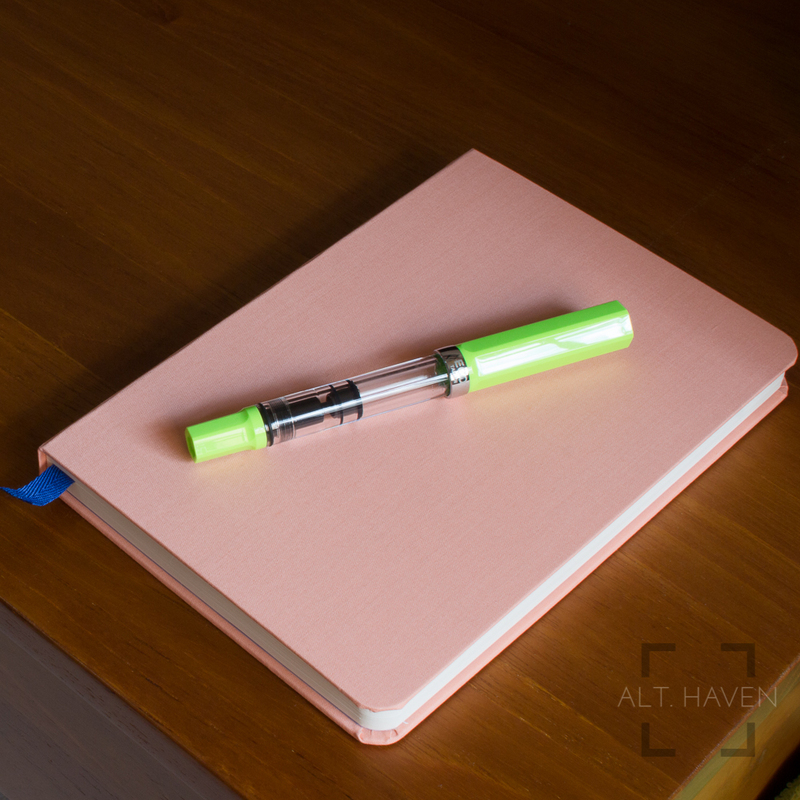 The paper quality is similar to the ones I’ve tested in the Pocket size and the Mastermind. 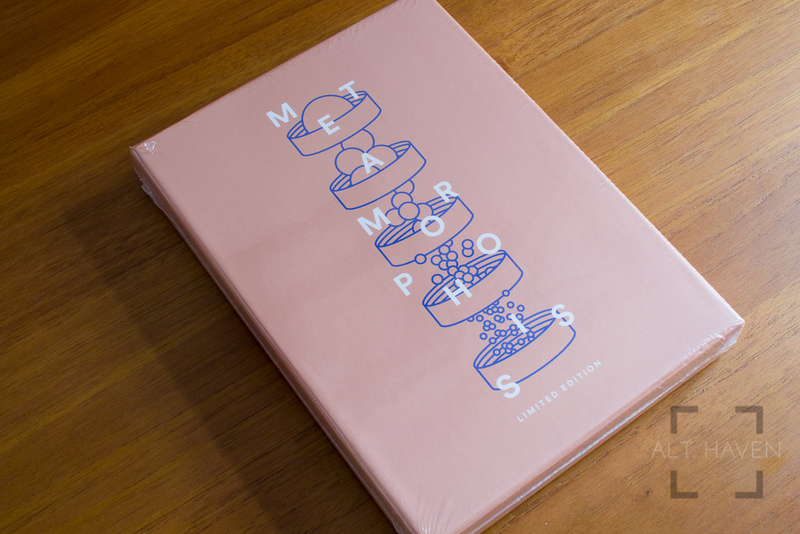 The Metamorphosis comes in only one size with 192 pages of fountain pen friendly paper. It’s available either via Baron Fig’s website or via their subscription. However Baron Fig have terminated their subscription services a while back. It seems that this particular limited edition Flagship is still available on Baron Fig. Retailing at USD$20, I think it is a pretty good deal but do factor in shipping costs if you are not residing in the US.